Where is Solar Power Headed? Most experts agree that to have a shot at curbing the worst impacts of climate change, we need to extricate our society from fossil fuels and ramp up our use of renewable energy. On July 7, President Obama announced a new initiative to increase access to solar power for all Americans. The effort will help states develop community solar programs, install 300 megawatts of renewable energy in federally subsidized housing, coordinate with various groups in 20 states to establish 260 solar energy projects, and provide training and opportunities for jobs in solar energy. The sun’s energy is unlimited, free and clean, and the amount that hits Earth in one hour is equal to the amount of energy used in one year by the entire planet. Yet, although installed global photovoltaic capacity increased almost nine-fold and the price of solar panels dropped by two-thirds between 2008 and 2013, only 1 percent of U.S. and global electricity generation come from solar energy, according to a new MIT report. “For photovoltaics technology to become a major sustainable player in a competitive power generation market, it must provide abundant, affordable electricity, with environmental impacts dramatically lower than those from conventional power generation,” according to Vasilis Fthenakis, a senior research scientist and professor of earth and environmental engineering at Columbia University, and the founder and director of the Center for Life Cycle Analysis. Where does solar energy stand today, and where does it need to go in order for us to make the transition to renewable energy? Let’s look at solar photovoltaic technology, since that provides most of the solar electric generation in the United States and the world today. 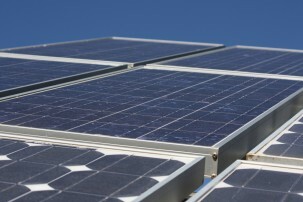 There are three generations of solar photovoltaic technology. The first generation is wafer-based crystalline silicon, a now mature technology used by 90 percent of installed solar capacity. 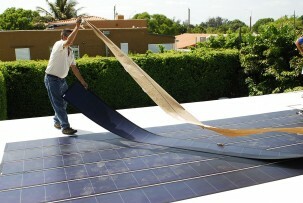 First generation solar panels typically comprise solar cells wired together and protected from the elements by glass and other materials. Solar cells are made of semiconducting (light absorbing) materials, such as crystalline silicon, which release electrons when they are hit by photons, units of sunlight. The electrons are forced to flow out as direct electrical current. Inverters then convert the direct current into alternating current, which is what the U.S. grid works on. 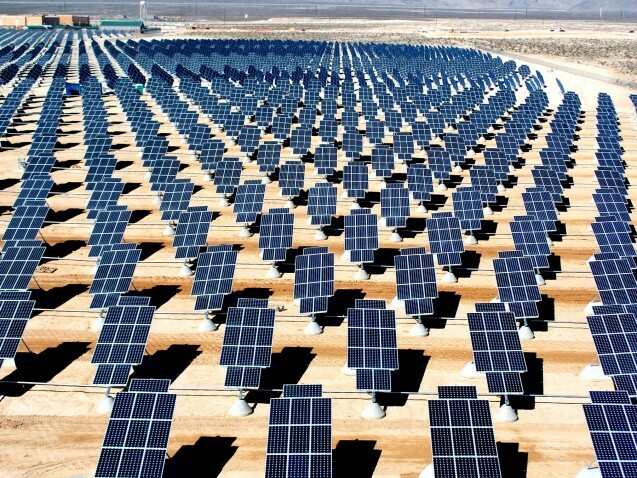 The number of solar cells and the size of the solar panel array determine how much electricity can be generated. Crystalline silicon wafer-based photovoltaic is non-toxic, abundant and reliable, but it does not have good ability to absorb light, so the silicon wafer must be thick, which contributes to its rigidity. These solar panels are complex to manufacture and relatively expensive; but crystalline silicon wafers’ solar-to-electric power conversion efficiency rate has reached 25 percent, the highest for commercial applications. Photovoltaic configurations where multiple layers of different semiconductors (with different band gaps) are used in tandem, however, can reach efficiencies that go up to 65 percent because they can absorb a wider range of useful energy, but they are more costly. Second generation photovoltaic technology consists of thin-film solar cells made mainly from cadmium telluride (CdTe) and copper indium gallium selenide (CIGS), both of which combinations involve rare and/or toxic metals. Thin-film cells are made by depositing one or more thin layers, or a thin film, of photovoltaic material, onto glass, plastic or metal. They absorb light 10 to 100 times more efficiently than silicon, so they only need to be a few microns thick (a human hair is 90 microns), and are thus flexible and light. 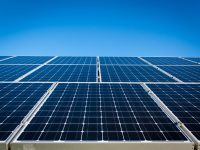 Their efficiency is about 20 percent, but according to Fthenakis, they have the potential to achieve the same efficiency as first generation solar cells. They are used commercially, mounted on the ground and on roofs like silicon photovoltaic, with cadmium telluride the leading thin-film technology installed in the world today. Improving efficiency while keeping costs low are major goals of third generation photovoltaic research. Third generation technologies include thin-film solar photovoltaic employing dye-sensitized, organic, quantum dot or perovskite solar cells and novel combinations of semiconductor materials, as well as concentrators. Dye sensitized solar cells are thin film solar cells composed of titanium dioxide nanoparticles covered with dye that absorbs sunlight. They are simple to make, use inexpensive materials and can work in low-light conditions; they have achieved 12.3 percent efficiency. Organic photovoltaic cells (also called plastic solar cells) use small carbon-based molecules of abundant materials to absorb light. They can be made into thin film relatively cheaply with inkjet printing, and have achieved 11.1 percent efficiency. Quantum dot photovoltaic uses nanocrystals made of semiconductor materials that take advantage of the laws of quantum mechanics. Because the size of the nanoparticles can be changed, they can be tuned to absorb energy from different parts of the solar spectrum, including parts of far infrared wavelengths, which constitute half of the sun’s energy. Quantum dot photovoltaic has only reached 9.2 percent efficiency, but it is inexpensive to produce and can be sprayed or painted on. Perovskite solar cells are characterized by a particular crystal structure. They are cheap and simple to manufacture and recently reached 20.1 percent efficiency, but have the potential to reach 31 percent, making them one of the most promising technologies to date. Copper zinc tin sulfide solar cells have properties similar to copper indium gallium selenede (CIGS) for thin film, but use only abundant and non-toxic elements. They have reached 12 percent efficiency. U.S. Army scientists recently patented a new thin-film cell that combines layers of silver and gold between semiconductor layers, but is only a few hundred nanometers thick (a human hair is about 80,000 nanometers thick). It is 1,000 times thinner than solar cells in existing solar panels, less expensive and more robust. Moreover the silver and gold enable the cell to absorb and convert more of the ultraviolet and infrared spectrum, and the cell’s geometry allows it to absorb sunlight from any angle. Using many relatively inexpensive lenses, concentrators focus sunlight onto a small solar cell; because the light is concentrated, it makes the cells much more efficient. 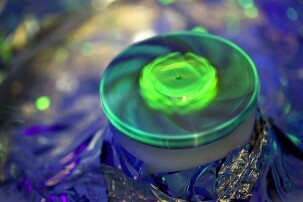 Concentrators have reached 46 percent efficiency in lab tests. 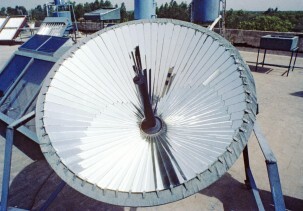 Since less solar-cell material is needed, concentrators have the potential to lower the cost of solar power. On the other hand, because some concentrators concentrate sunlight by a factor of 300 to 1,000 times onto a small cell, the use of more expensive solar cells combining multiple semiconductor materials to capture a broader range of wavelengths is possible. These types of concentrators that use multi-layer tandem cells are used for space and satellite applications where cost is not a factor, but on land are only used to keep costs down. With the exception of concentrators, third generation photovoltaic technology is still in the lab stage, 10 to 20 years away from commercialization, said Fthenakis. Of technologies that are in commercial use today, thin film costs the least in terms of square meters and how much power it can deliver. The leading technology is cadmium telluride, because it’s easier and faster to manufacture, and thus costs less. Meanwhile, other exciting applications of solar energy are being developed as well. The Joint Center for Artificial Photosynthesis created by the Department of Energy, is developing technology that replicates the natural photosynthesis of plants, converting sunlight, water and CO2 into oxygen and fuels made of carbohydrates or sugars. The artificial photosynthesis system, which is 10 times more efficient than natural photosynthesis, is called an artificial leaf or solar fuel generator. It uses nano-engineered, light absorbing compounds to convert sunlight into electrons; the electrical energy is then delivered to customized catalysts that convert water and CO2 into oxygen and chemical fuels. Specialized membranes allow the oxygen to escape and the fuel to be captured. A team from Harvard is building on the artificial leaf technology, using genetically modified bacteria to convert carbon dioxide plus hydrogen into the liquid fuel isopropanol, which can be used in engines similarly to ethanol. On its journey around the world, the Solar Impulse, the first plane powered only by the sun, recently completed a 118-hour flight from Japan to Hawaii. The single-seater plane made of carbon fiber weighs a little over 5,000 lb. and has a 236-foot wingspan covered with 17,000 photovoltaic cells to power its electric motors and charge its lithium-ion batteries to run the plane at night. Its journey began in Abu Dhabi, with stops in Oman, India, Myanmar, China and Japan. From Hawaii, it will fly to Phoenix, New York and Europe, and return to Abu Dhabi. In Sandpoint, Idaho, Scott Brusaw, an electrical engineer, is developing a solar roadway that involves a specially treated glass surface (to provide traction), with solar panels, a heating element and LED lights inside. The solar roadway can produce solar energy, keep roads warm enough so that snow doesn’t collect, generate warnings and instructions to drivers with its LED lights, and potentially provide a charging infrastructure for electric vehicles. So far, Brusaw has created a demo parking lot made of 108 solar panels in Sagle, Idaho. 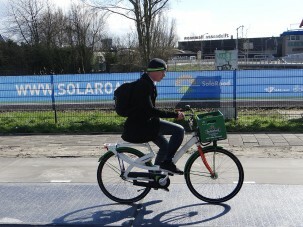 Meanwhile outside of Amsterdam in the Netherlands, a 230-foot bike path called the SolaRoad, embedded with solar cells, produced 3,000 kilowatt hours of electricity in its first six months; eventually it is hoped the electricity generated could power street and traffic lights, homes and electric cars. 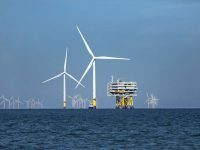 Researchers will be conducting tests over the next few years to determine how much energy it produces and how durable it is. In the United States, the solar tax credit of 30 percent on residential and commercial solar systems is set to expire at the end of 2016. Obama’s proposed budget for 2016 asks Congress for a permanent extension of the solar tax credits. Hopefully they will be extended so that the expansion of solar power can continue, since the key to widespread implementation of the technology is its cost in comparison to other energy sources.